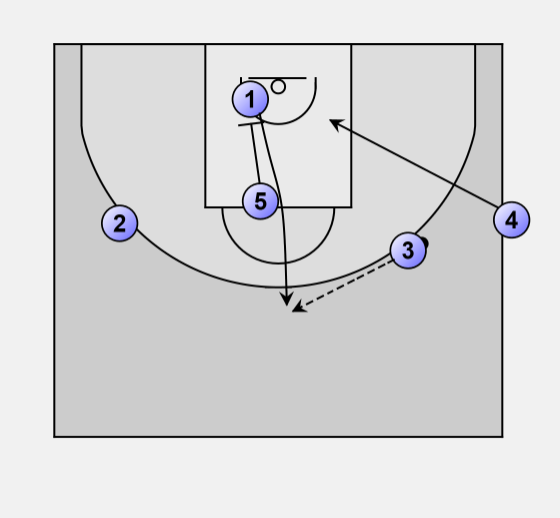 The play starts with 2 running around the stack, cutting across the paint and moving to the weak side wing. 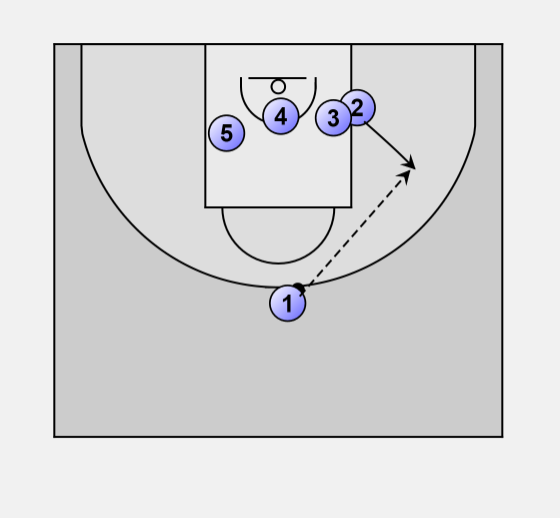 5 screens for 3 who flashes towards 4 to receive the inbound pass on the wing. Meanwhile, 1 cuts to the paint underneath the basket. After inbounding the ball, 4 cuts to the strong side block. 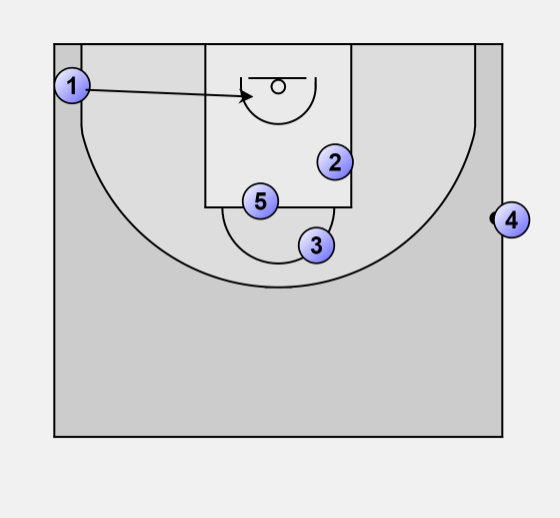 5 sets a down screen for 1 who moves to the top of the circle to receive the ball from 3. 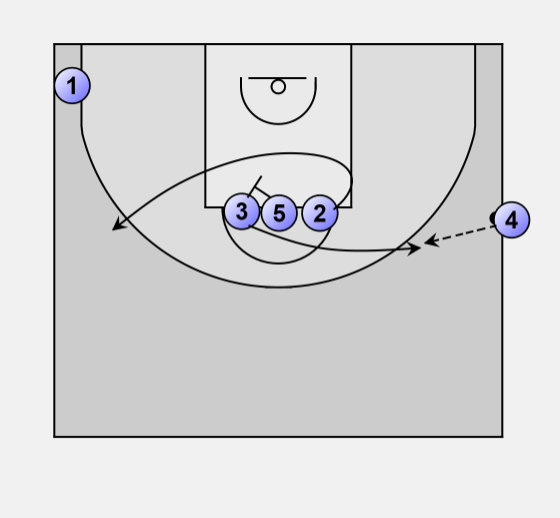 2 starts to cut around a triple staggered screen set by 5, 4 and 3 along the baseline. 2 comes around the screens and receives the pass from 1 on the wing (optionally, behind the 3-point line). The screeners get in position for a rebound.